Load up and tote vital personal gear in the field and beyond. It's easy with this sharp, pre-tested Swedish army surplus duo. 2 Bags, 2 shoulders, ready for action on your next mission. 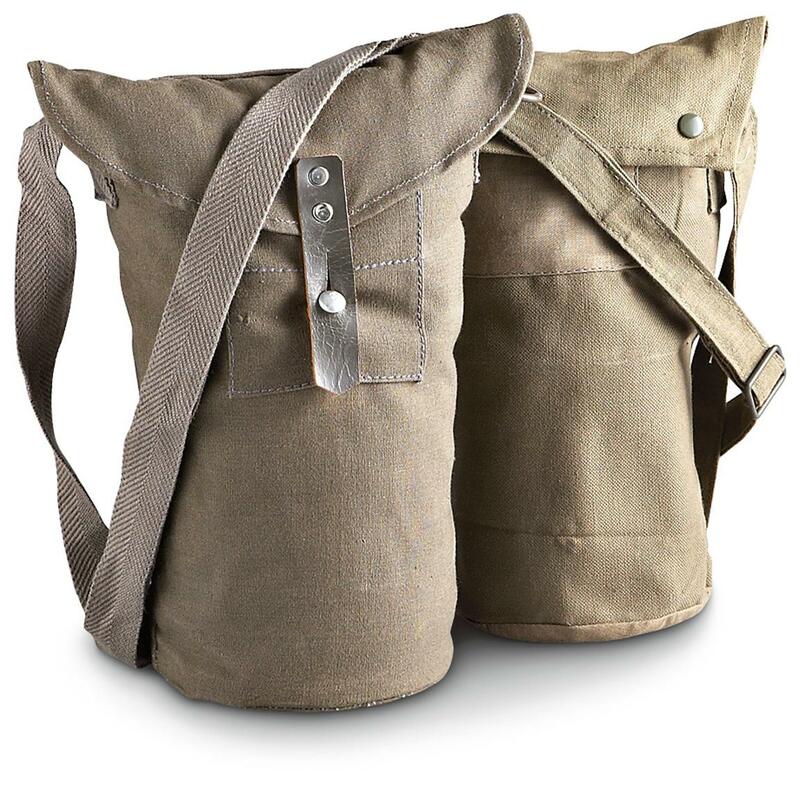 Swedish Military Surplus Shoulder Bags, 2 Pack, Used is rated 4.5 out of 5 by 13. Rated 5 out of 5 by JEFFERY A from Kind of small but should come in handy for little trecks in the wood such as mushroom hunting. Rated 5 out of 5 by MICHAEL J. from Just fine for may carry gear to the shooting range. Rated 3 out of 5 by BRAD from One of these was as pictured, the other was a different, cheaper version. I like the former, the latter not so much. Rated 3 out of 5 by JOSEPH A from These are fair to middlin'... Two diff. styles,....one better than the other. Rated 4 out of 5 by LORI from Great for camera lens bags or extra large water bottles! Straps long enough to go cross body. These will replace our "fannie packs" with much more style!! Rated 5 out of 5 by PETER from Great for carrying water bottles on hikes. Rated 4 out of 5 by MICHAEL from Three is very good shape. One had been through a hard life, but was still quite functional.